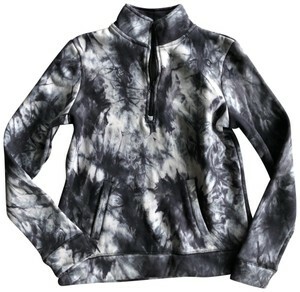 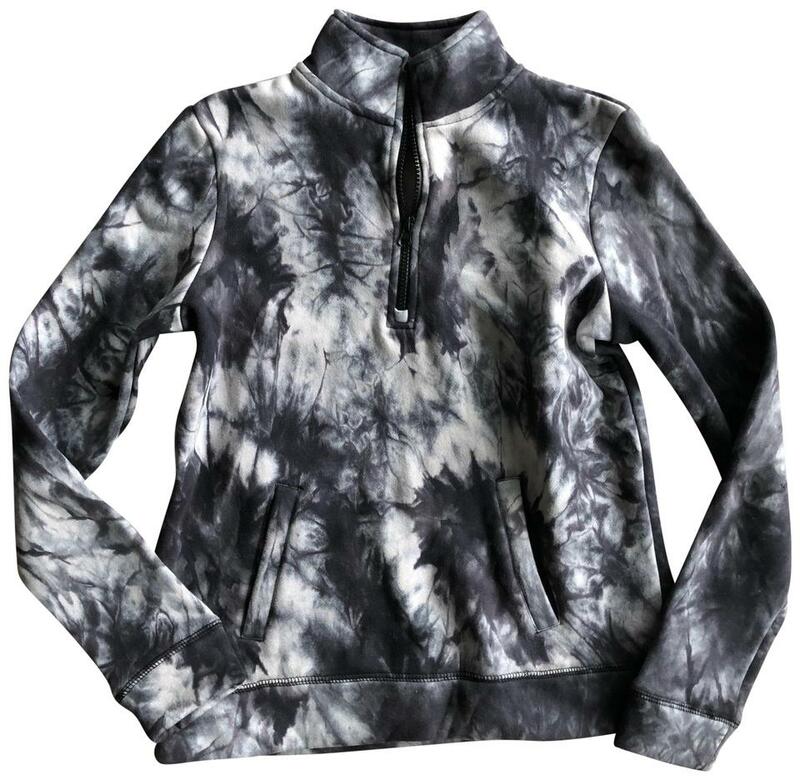 Black and gray tie-dye pattern. 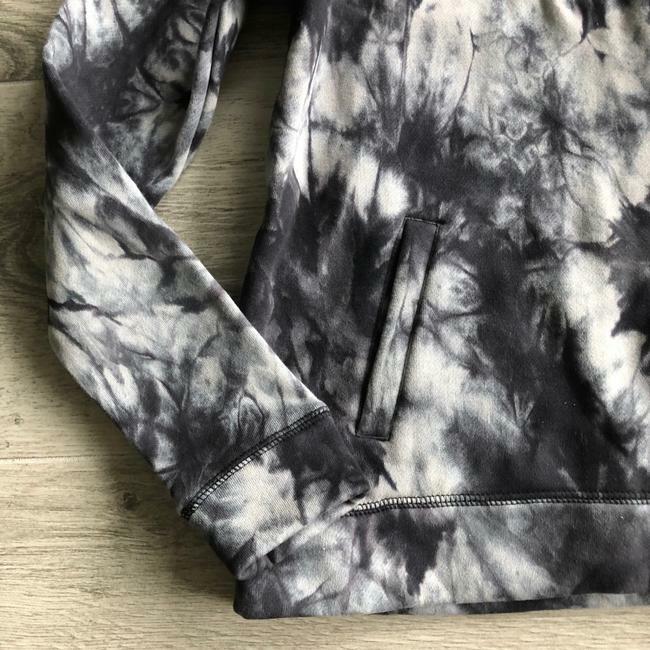 “The Warmup” logo printed across the back. 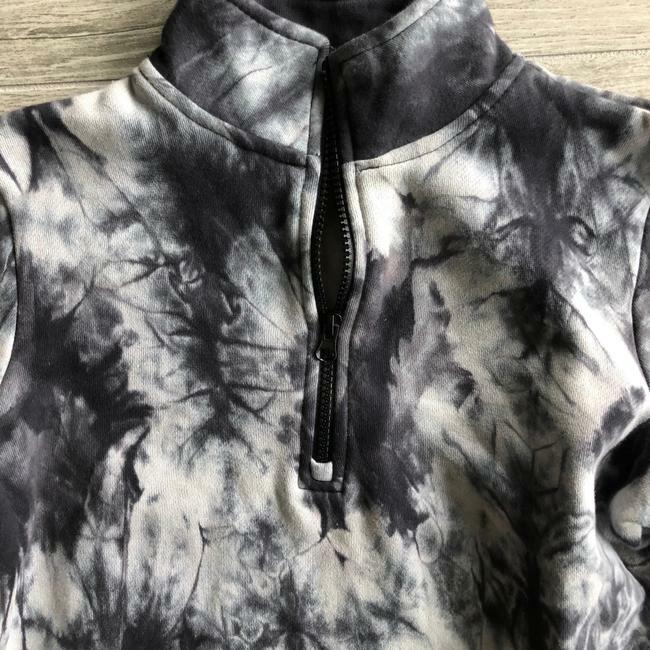 1/2 zip style pullover. 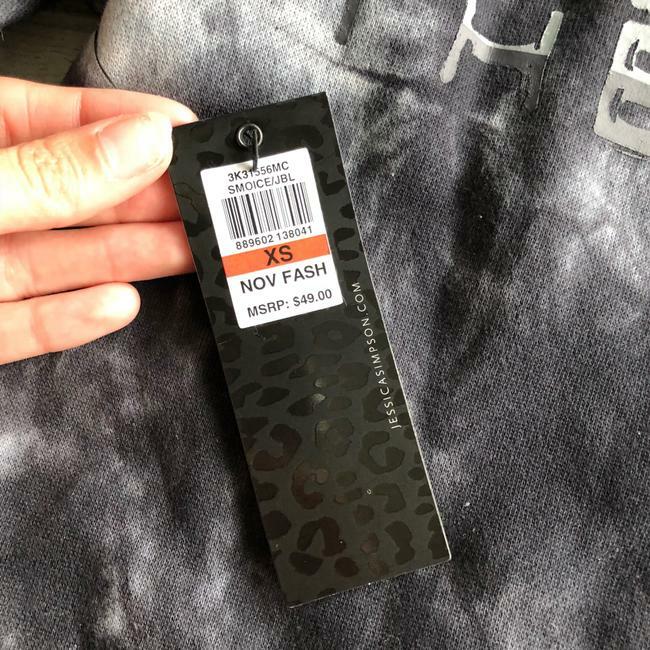 New with tags, never worn.